The garden in this story is from the Neopedia article 'The Codestone Secret'. 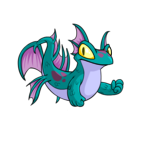 Also, Ramamoth is my one and only pet! “Ha-ha! I beat you again, Ramamoth!” Gary crowed. The little faerie Shoyru looked up at the Grarrl from where she was sprawled in the dirt. It was the sixth time that lesson he had beaten her. She ached all over from hitting the ground so often. Her arms hurt, her legs hurt; even her eyebrows hurt! It wasn’t even really her fault. Gary’s blows were just too strong. She couldn’t block them without being knocked over and her practice stick sent flying. “Alright, class, that’s enough for the day,” their teacher called. Ramamoth dragged herself up off the ground and limped over to the girl’s change rooms. She hid herself in one of the corners and got changed quickly, trying not to sniffle. When she had first joined the Training School two months ago as a Grasshopper, she had known exactly what she wanted to be. The best warrior ever. Looking at her reflection in one of the misty mirrors, she admitted that it shouldn’t have been such a surprise that she was a failure. Faerie Shoyrus were not exactly warrior-like. Now, though, she didn’t know what to do. She had spent ages begging her owner, Mel, to let her come here despite her Mel’s doubts and she really didn’t want to admit to Mel that she had been right. Grabbing her stuff, Ramamoth pushed open the change room door and stepped outside. Deep in thought, she wandered among the buildings not realising when she entered a garden she had never been in before. Suddenly she stubbed her toe on something in the ground. She looked down in surprise to see a strange little rock sticking up out of the ground. It looked like one of the codestone things that her owner gave to the Techo Master so that she could train at the school. Looking around she saw that there were more of them. In fact, the entire garden was made up of the little stones. They were scattered around the trees and paths to form patterns but, unlike the codestones, none of them were moving. With a sigh, Ramamoth went to sit under one of the trees. She wasn’t quite ready to go home. Besides, it was very peaceful in the garden; the little stones seemed to emit a soothing air around her. Leaning back against the tree, Ramamoth sunk back into pondering her problem. She didn’t know how long she’d been there when she felt a gentle touch on her arm. Surprised she looked up into Master Ryshu’s face. Master Ryshu sat down next to her and gently patted her on the shoulder. Ramamoth just sighed and looked out over the garden. “The Codestone Garden,” he replied taking a shivering codestone out of his pocket. Reaching in front of her, he placed the little stone on the ground and all of a sudden its shivering stopped. Master Ryshu smiled down at her. “But I’m horrible at fighting! I can’t do anything. How am I supposed to find my own way of fighting?” Ramamoth asked. Master Ryshu jumped up and held his hand out to her. “Come with me and I’ll show you,” he said. Curious, Ramamoth followed him over to the stream that twined through the center of the garden. “What is that?” he asked, pointing to a large rock half submerged in the water. “Uh . . . a rock,” Ramamoth replied hesitantly. “And where is it exactly?” Master Ryshu asked her gently. “No. Why would it? It just flows around the rock,” Ramamoth answered, rather confused with where this was going. “But does it? Look over here.” Master Ryshu bent and scooped up some of the silt from the bottom in his hand. “What is this?” he asked holding it out to her. “But what’s that got to do with me?” asked Ramamoth, puzzled. Ramamoth considered it. She was much faster than Gary and with a well aimed strike, she wouldn’t need much force to loosen his grip and maybe even disarm him. Ramamoth thanked him and started up the hill back towards the training school and home. Just as she reached the top, Master Ryshu called out to her. Ramamoth glanced back and smiled before continuing on her way. She knew now how she could beat Gary. The next day at training school, Ramamoth was paired with Gary as usual. “Gonna fall flat on your face again today, Ramamoth?” Gary teased as they waited. “Not today, Gary,” Ramamoth replied mildly. She glanced around the practice area. The other waiting students were crowded around the edges, stretching and chatting with each other. A movement near the door caught her eye and she turned to see Master Ryshu sitting down on one of the seats. He looked up and nodded at her. Ramamoth nodded back before returning her attention to her stretches. Their teacher approached and made sure they were both ready to start. Ramamoth took a deep breath and carefully placed her feet in the starting position before crossing practice sticks with Gary. Their teacher gave the signal to begin. Gary instantly launched a strong blow at Ramamoth’s head. However, unlike other bouts, Ramamoth didn’t even try to block. She quickly ducked and darted around to Gary’s open side. Bringing her practice stick up in a sharp swing, Ramamoth struck Gary’s stick towards the lower end, jolting it in his hands. Gary growled and immediately launched a counter attack, swinging hard at her side but again Ramamoth was too fast for him. She slipped around him and struck, jolting his practice stick again and causing his hands to slide out of position. Then before he could react, Ramamoth brought her practice stick down in a high blow aimed near the top of Gary’s stick. The practice stick flipped out of Gary’s hands and went flying across the room before clattering to the floor. The other students cheered and Gary gaped at her. “Huh?” Gary gave her a confused look. The other students crowded round congratulating her and asking how she’d been so fast. Ramamoth answered them happily. Now that she knew she had a special way of fighting that worked for her, she felt a lot more confident. Just like the codestones of the garden, she had found her place and was at peace. She didn’t have to worry about what to tell her owner anymore. She could fight now and who knew, one day, she might even become one of the best warriors ever.